Chinese New Year Capsule shoe patch in pale gold calfskin leather, fastens with a tab and press stud, appliqué and pale gold Swarovski rhinestones, and calfskin leather lining with "Lanvin" logo. 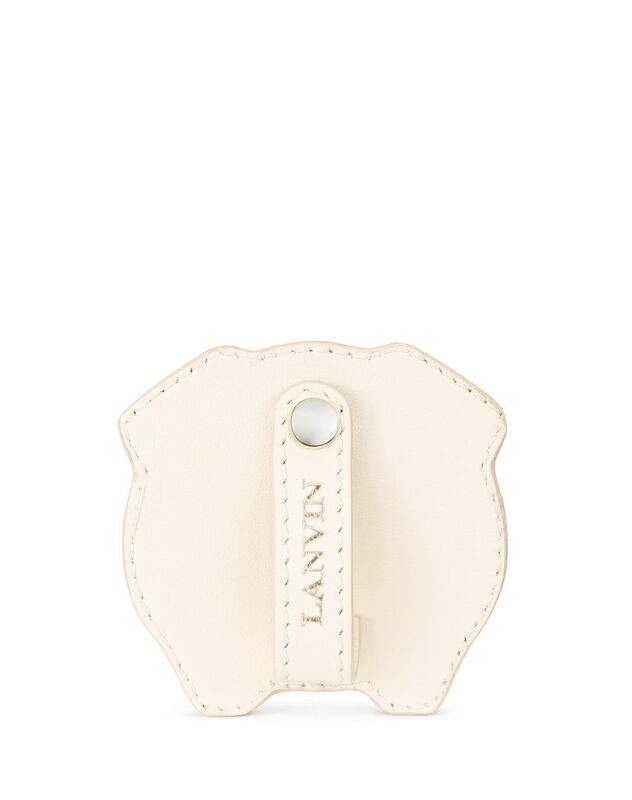 This season, Lanvin is drawing inspiration from tradition. 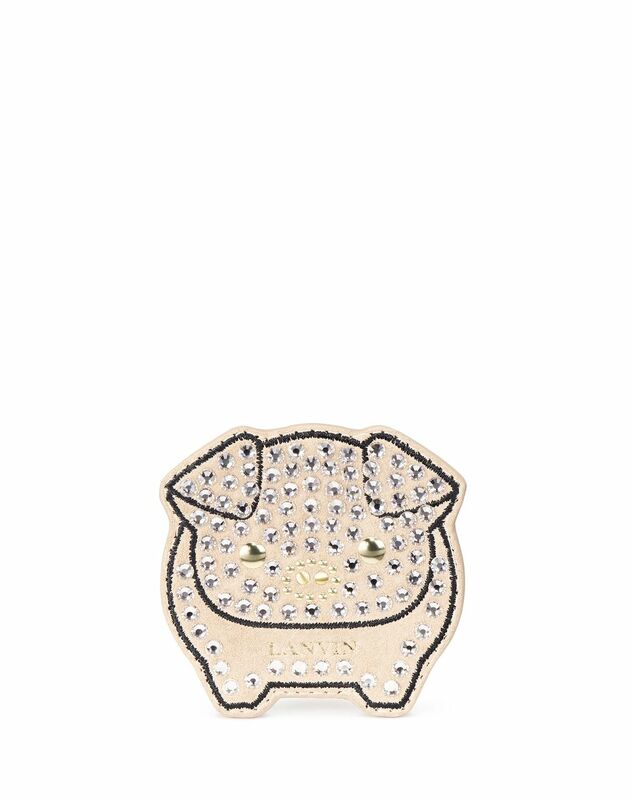 The Capsule collection features patches for shoes in the shape of the pig, an emblematic symbol of the Chinese New Year. This accessory from the Spring-Summer 2019 Pre-Collection adorns shoes and gives them an original touch for a bold, modern style.